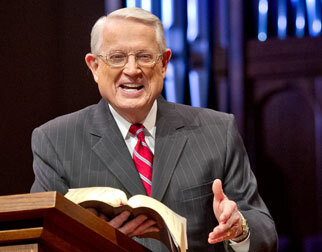 Listen to Chuck Swindoll’s overview of Philemon in his audio message from the Classic series God’s Masterwork. For more than two years during his third missionary journey, Paul ministered in Asia Minor among the people of Ephesus. This was a successful period for the apostle to the Gentiles, who saw many converts among both residents of Ephesus and visitors to the city. One of the visitors converted under Paul’s teaching was a man named Philemon, a slaveowner from the nearby city of Colossae (Philemon 1:19). In the Bible book that bears Philemon’s name, Paul addressed his “beloved brother” as a “fellow worker,” a title given to those who served for a time alongside Paul. 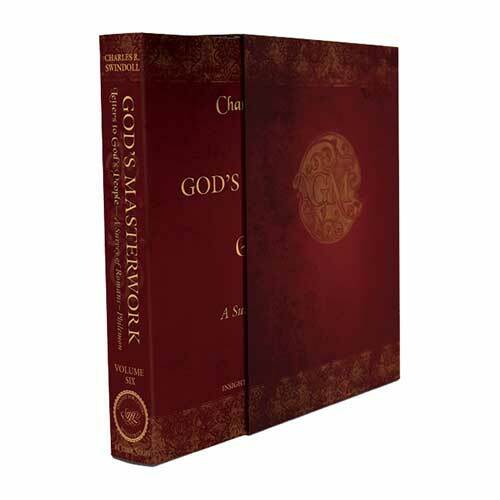 (Gospel writers Mark and Luke also received this title later in the letter [1:1, 24]). 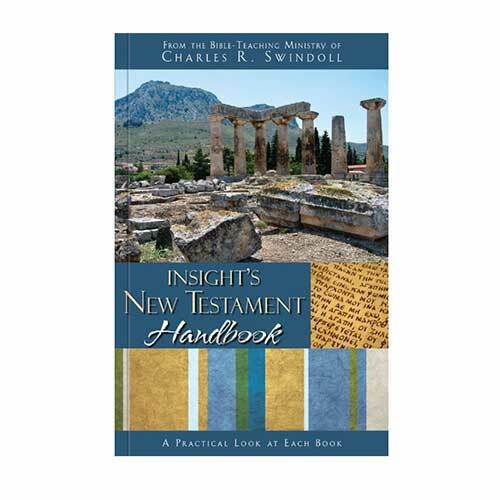 Clearly, a kinship existed between Paul and Philemon, one that would serve a significant purpose in light of the circumstance that brought about the letter. Paul’s message to Philemon was a simple one: based on the work of love and forgiveness that had been wrought in Philemon’s heart by God, show the same to the escaped and now-believing slave Onesimus. The apostle’s message would have had extra force behind it because he knew Philemon personally. Paul had explained the gospel to Philemon and had witnessed the profound result: new life blossoming in a once-dead heart (Philemon 1:19). Paul knew that conversion is nothing to trifle with, but that it should be honored and fostered. So Paul made a request. He wanted Philemon to forgive Onesimus, to accept the slave as a brother in Christ, and to consider sending Onesimus back to Paul, as the apostle found him useful in God’s service (1:11–14). Paul did not minimize Onesimus’s sin. This was not some kind of cheap grace that Paul asked Philemon to offer. No, there was sacrifice required in this request, and because of that, Paul approached the topic with gentleness and care (1:21). 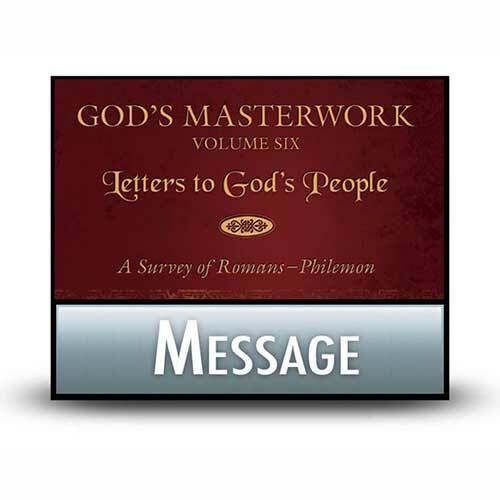 His letter to Philemon presents in full color the beautiful and majestic transition from slavery to kinship that comes as a result of Christian love and forgiveness. Live long enough, and you will understand the difficulty of offering forgiveness when you have been wronged. It does not come easy, yet as believers, we have to recognize that our ability and willingness to offer it are the result of Christ’s saving work on the cross. Because of that fact, forgiveness serves as a determining factor in who we say we are and how we hope to live our lives. When we do not forgive, bitterness takes root in our hearts and chokes the vitality out of us. 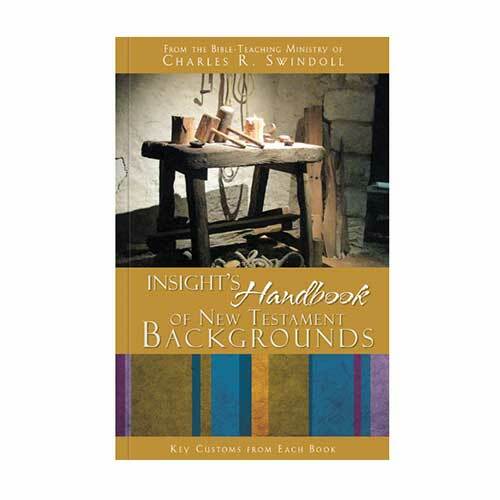 In what ways has forgiveness been a struggle for you since you accepted Christ’s forgiveness? Allow Paul’s letter to Philemon to encourage forgiveness in your own life, and trust God to foster renewed life in your heart and your relationships. 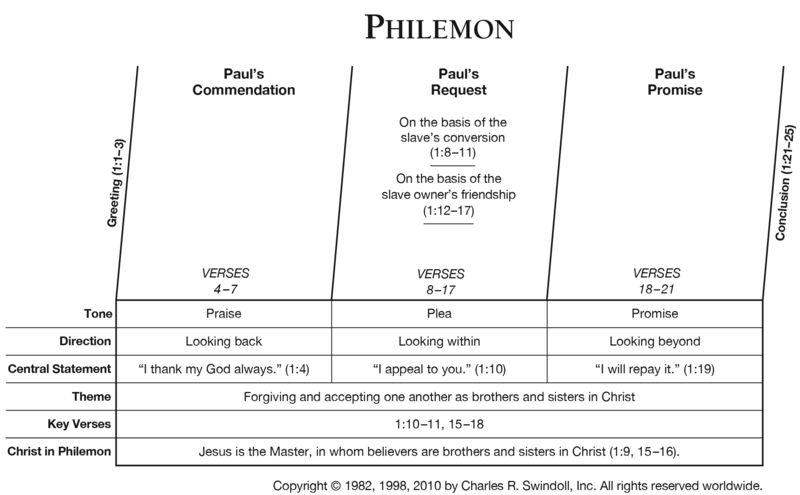 View Chuck Swindoll's chart of Philemon, which divides the book into major sections and highlights themes and key verses. 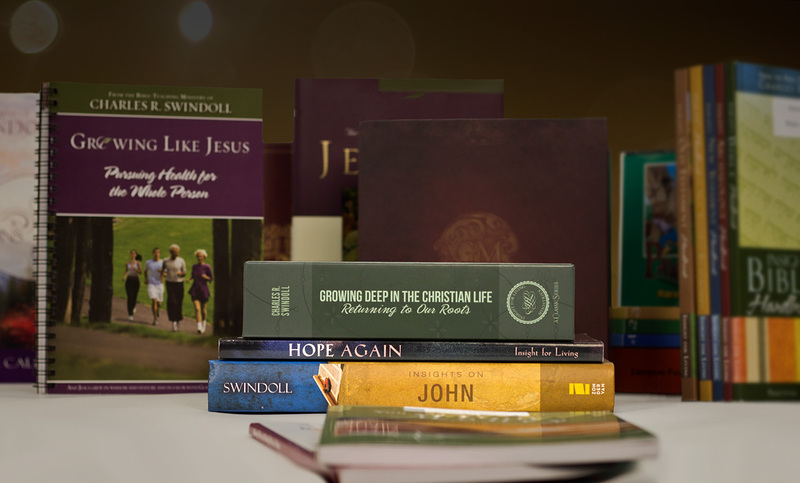 Discover more resources related to Philemon.